serena the magnolia's lover: THE WINNER! Blogger non funziona oggi (e neanche ieri....), così non si riescono a vedere i commenti, ma li ho ricevuti tutti! Blogger doesn't work today (and yesterday too....), so you can't see the comments, but I received them! DI NUOVO TANTISSIMI AUGURI DI BUON ANNO, E CHE IL 2011 SIA PIENO DI SALUTE E CREATIVITA'!!!!!!!!!!!!!!!! I WISH YOU AGAIN A VERY HAPPY NEW YEAR, HOPE 2011 WILL BE FOR EVERYONE FULL OF HEALTH AND CREATIVITY!!!!!!!!!!!!!!!!! 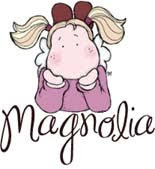 MAGNOLIA ADVENT CALENDAR BLOG HOP!